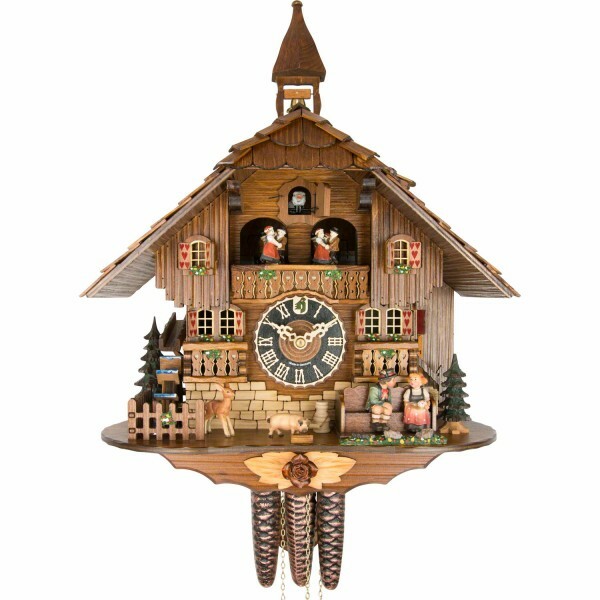 Product information "Kissing Black Forrest Cuckoo Clock"
The Clock features a kissing couple. The waterwheel and the dancers turn together with the music. Related links to "Kissing Black Forrest Cuckoo Clock"
Customer evaluation for "Kissing Black Forrest Cuckoo Clock"